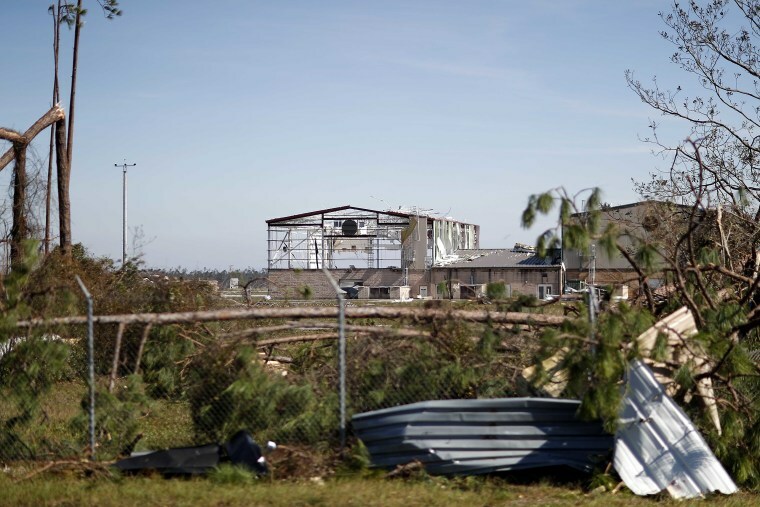 The home to the nation's 325th Fighter Wing "took a beating," Col. Brian Laidlaw said in a letter posted Thursday night to the 3,600 men and women stationed at the base located 12 miles east of Panama City. The Air Force evacuated the base in advance of the storm's arrival Wednesday afternoon. She said "the Air Force remains capable of executing its combat mission across the world with aircraft from other bases, as well as those that were evacuated from Tyndall in advance of the hurricane." Meanwhile, Air Force Special Tactics Airmen with the 23rd Special Tactics Squadron have assessed, opened and are now controlling air traffic at Tyndall, according to a news release from the Air Force. They received the first airplane at 7:06 p.m. Thursday. Officials say the opened runway will help allow aircraft with supplies and food to land for distribution in the Florida Panhandle.